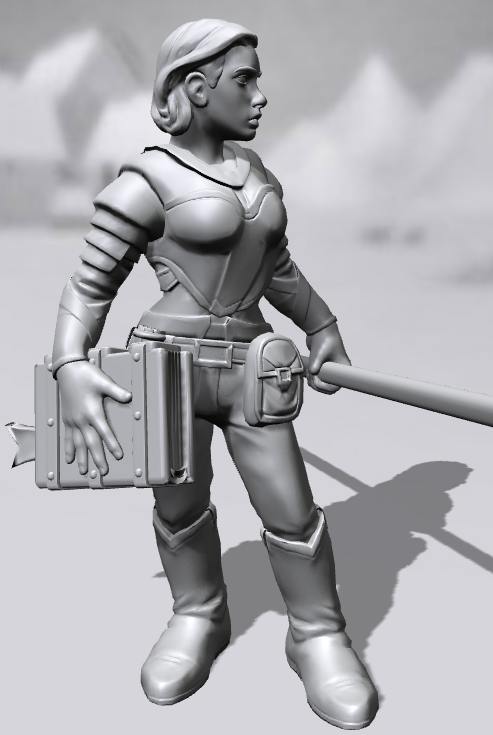 I backed the Hero Forge Kickstarter, which provided me with beta access to play around with making my own figs. So ludicrously addicitive. Naturally I had to make a 3d representation of Robin Levesque, the MC of Codemage. Don’t mess with her, man. That book is filled with all kinds of codespells. And if those don’t work, there’s always the big stick. This entry was posted in codemage and tagged codemage on September 29, 2014 by gala5931.